I have heard that there are few more passionate and dedicated fans than those of auto racing and, in particular, NASCAR. And, though there are many different locations that are important to telling the NASCAR story, or that could lay claim to some important aspects of the sport’s heritage, in reality the sport’s home is in Daytona Beach, Florida and, in particular, at the Daytona International Speedway – home of the “Great American Race”: the Daytona 500, held each February. Tours of the Speedway are, as you might expect, a mixture of NASCAR heritage, a bit of the mythology of the track itself and it’s creator, Bill France Sr., many of the technical and engineering specs of the track, access to areas of the speedway normally inaccessible to the general public, and a non-too-subtle sales pitch, both for additional track experiences and for upcoming events. The Speedway offers many different tour options – from the quick-and-dirty 30 minute tour (seemingly the most popular, and the one I took) to longer, more involved tours. As you might imagine, a 30 minute tour does not offer much time to provide a thorough narrative, and the tour is basically taking a large people mover to the infield and to pit row and back to the tour centre. Along the way, tour patrons are given a quick history to the track, some of the people involved in its creation, the technical aspects of the track (number of seats, angles of the turns, etc. 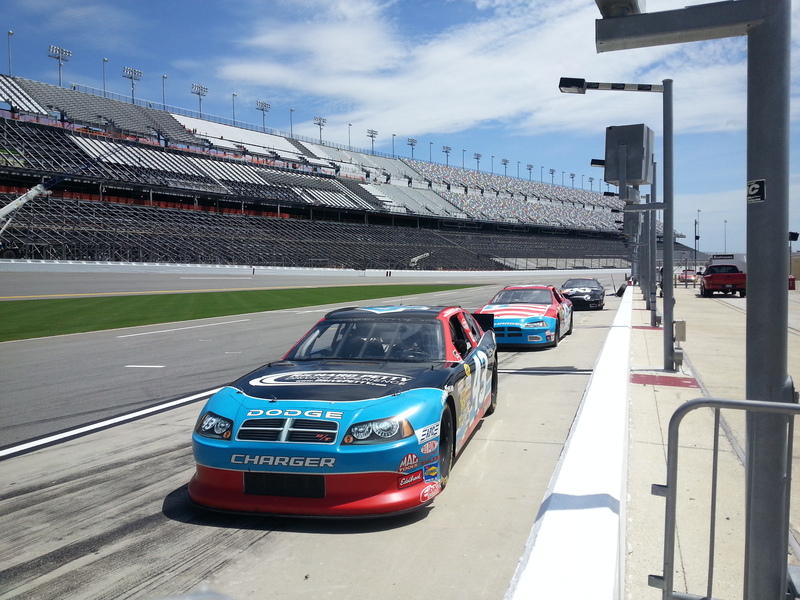 ), as well as an extensive overview of the track’s expansion and renovation – a project called Daytona Rising. The 30 minute tour’s lone stop was along pit row, where tour patrons were encouraged to sign up for an additional track experience – a $150 three-lap loop around the speedway in a modified stock car. 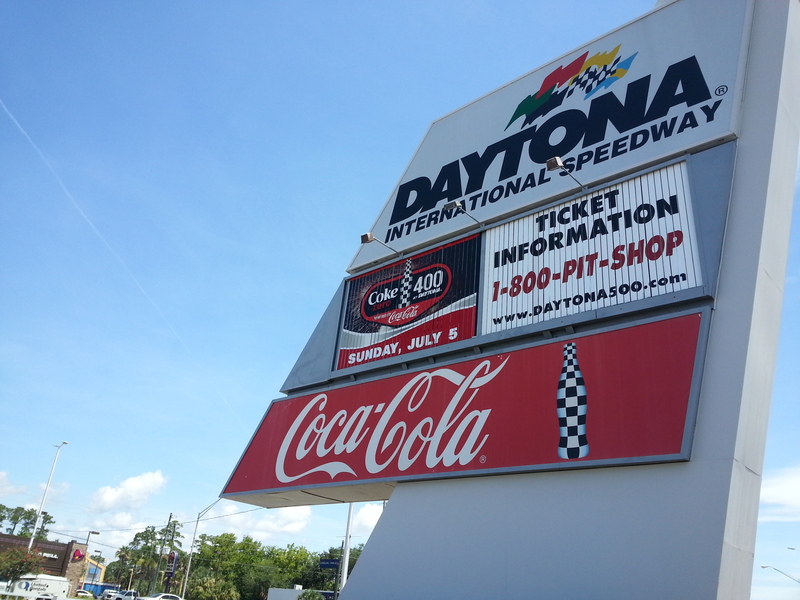 The tour ends with guides encouraging tour patrons to purchase tickets to upcoming events, as well as a viewing of the winning car from the previous Daytona 500, which the track gets to keep for a year. Of course, there is also an opportunity to purchase another souvenir – a professional photo next to the car. Perhaps most strikingly is that there was little information about famous races, drivers, or incidents. I’ll admit to knowing next-to-nothing about NASCAR or many of the races at the Speedway, and perhaps the tour narrative is designed both for the complete NASCAR novice who may not know nor care about this information, as well as dedicated NASCAR fans who already know all of this information anyways. Indeed, perhaps the most famous incident at Daytona – the death of Dale Earnhardt at the Daytona 500 in 2001 – was not mentioned at all. Certainly this is by design, as the tour is mainly about seeing a venue famous for being famous, as well as a hagiographical treatment of the Speedway and sport’s founders, though it was interesting that the tour narrative didn’t point out any important locations or spaces on the track. I will admit, though the charms of stock car racing have thus far escaped me and the up-selling on the tour did get a bit grating, it is a very efficient and, actually, interesting behind-the-scenes tour. Although there is nothing particularly extraordinary about the tour content – and mirrors much of what has been written before about sports venue tours by Gammon & Fear (2005), Ramshaw (2010), and Wright (2012) – I was actually taken back by just how popular the Speedway tours are, and how built-up the tour infrastructure is. And, unlike many venue tours that feel like either a rushed add-on or an inconvenience to the venue managers, the Speedway tours actually felt like an important and integral part of the Speedway’s public face. In fact, I can’t remember a tour where – as a paying member of the public – I felt so valued. Everyone – from the ticket sellers on up – were friendly, outgoing, and more than willing to answer questions. 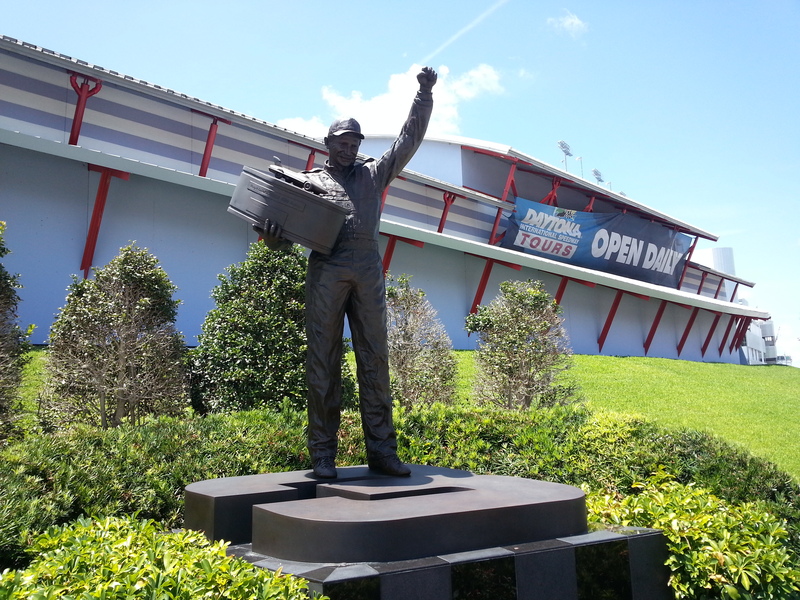 I think in many ways, the tours of the Daytona International Speedway mirrored why NASCAR appeals to so many people, namely that they respect and welcome their fans. Perhaps more than anything, this is what other sites could learn from the Daytona International Speedway. 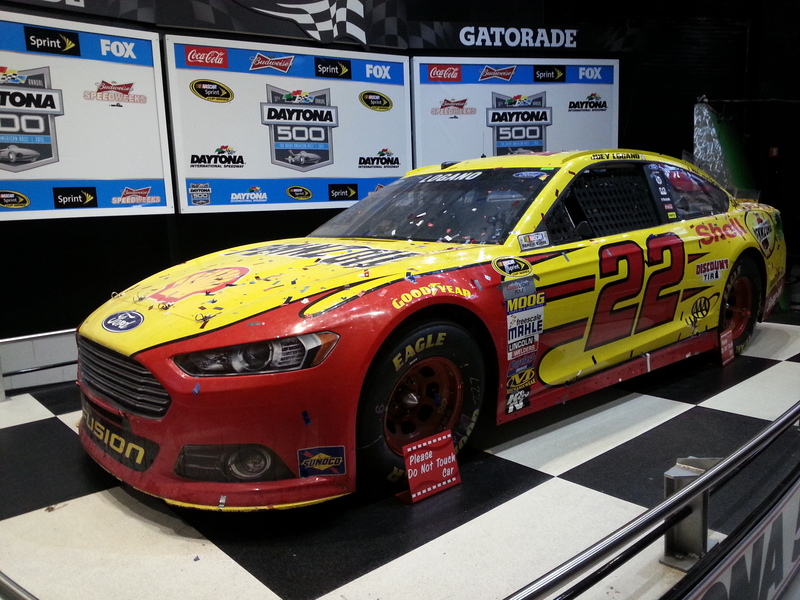 By Gregory Ramshaw in Daytona, heritage, NASCAR, sport, tourism, tours on June 29, 2015 .